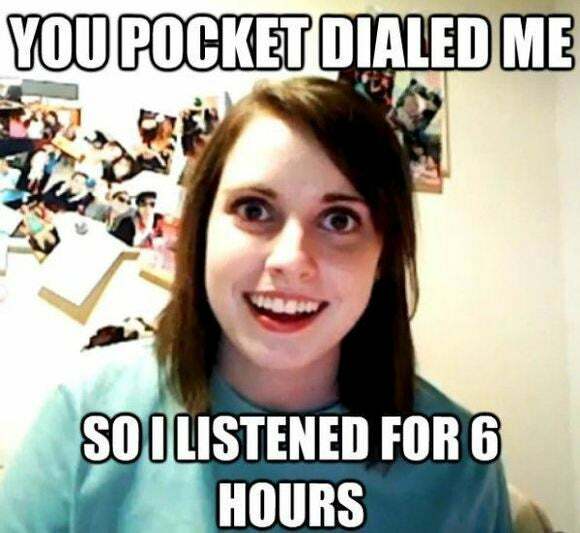 People who don't take basic steps against pocket dialing haven't shown they have an expectation of privacy. A federal appeals court in Ohio has ruled that a person who accidentally “pocket dials” someone shouldn’t expect any overheard conversation to be considered private. The case involves the chairman of the Airport Board in Kenton, Kentucky, which oversees the Cincinnati/Northern Kentucky International Airport. The chairman, James Huff, was on a business trip in Italy with his wife and a colleague when he accidentally pocket-dialed the secretary of the airport’s CEO back in the U.S. The secretary, Carol Spaw, said “hello” a few times and soon figured out the call wasn’t meant for her. But she overheard Huff and his colleague talking about personnel matters, including the possibility that the airport’s CEO—Spaw’s boss—might be replaced. The inadvertent call continued after Huff got back to his hotel room with his wife. However, the catch is that the law applies only where people can show they had a reasonable expectation of privacy. And that’s not case with pocket-dialed calls, the appeals court ruled, upholding in part a lower court’s decision. Citing case law, the Sixth Circuit Court of Appeals said people must “exhibit” that they have an expectation of privacy, by taking reasonable steps to ensure their conversation won’t be overheard. Huff admitted in his deposition that he was aware of the risk of making pocket-dialed calls, and that he’d made them himself in the past. The appeals court noted that methods exist to prevent such calls, including locking a phone or using an app designed for that purpose, but Huff didn’t use any of them. So while he may have intended his call to be private, he didn’t do enough to show that he had that expectation. “Under the plain-view doctrine, if a homeowner neglects to cover a window with drapes, he would lose his reasonable expectation of privacy with respect to a viewer looking into the window from outside of his property,” the court said. The same applies to pocket-dialed calls, according to the court. If a person doesn’t take reasonable steps to keep their call private, their communications are not protected by the Wiretap Act. “The principle that a person does not exhibit a reasonable expectation of privacy when he knew or should have known that the operation of a device might grant others access to his statements or activities” is applicable to the Wiretap Act as well, the appeals court said. However, it noted, the same may not apply to Huff’s wife, Bertha, who couldn’t be expected to know that a person she was talking to had a smartphone in their pocket and hadn’t taken steps to secure it. “If Bertha waived her reasonable expectation of privacy from pocket-dials by speaking to a person who she knew to carry a pocket-dial-capable device, she would also waive her reasonable expectation of privacy from recordings and transmissions by speaking with anyone carrying a recording-capable or transmission-capable device, i.e., any modern cellphone,” the court said. That doesn’t necessarily mean Spaw is liable, however, because liability applies under the Wiretap Law only when a person “intentionally” uses a “device” to intercept oral communications. The appeals court sent the case back to the lower court to decide if Spaw’s actions—including transcribing notes from the call and recording part of it—constituted an “intentional use of a device” to intercept Bertha Huff’s communications.